A group called Prayer for Israel Samoa (P.F.I.S.) is preparing to welcome the second Messianic Jewish leader to visit Samoa this year as part of it’s efforts to strengthen the understanding of Samoans about Israel and its strategic importance today. On Saturday, Pastor Avi Mizrachi and his wife, Pastor Chaya Mizrachi, are scheduled to arrive in Samoa for a week of meetings and different opportunities where they will minister to local churches and leaders. Pastor Avi is the Executive Director of Dugit Messianic Outreach Centre and the Senior Pastor of Adonai Roi Congregation in Israel. He was born in Tel Aviv to a Jewish family. He becomes the second Jewish leader to visit Samoa following the historical visit by another Messianic Jewish leader, Pastor Benjamin Berger, earlier this year. He met with the Head of State, Prime Minister and a host of local Church leaders. He also travelled to American Samoa. This time, the Chairman of P.F.I.S., Reverend Nu’uausala Siaosi, of the Apia Protestant Church, said they are excited to welcome Pastor Avi to continue the momentum of what was achieved during Pastor Berger’s trip. He said they are expecting the meetings and prayer sessions to be a blessing not just for Samoans who will attend but also for the visitors from Israel who will have the opportunity to take something with them back to Israel from Samoa. Like Pastor Berger’s visit, Pastor Avi has a similar programme. 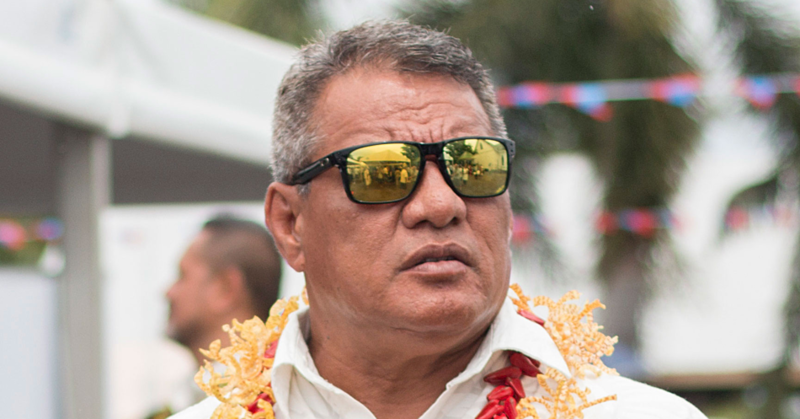 He is scheduled to preach at Apia Protestant Church this Sunday morning before he speaks at Peace Chapel Church later in the evening. On Tuesday, he is scheduled to address a Prayer Breakfast at the T.A.T.T.E. Building where senior Government officials and leaders of the private sector are expected to attend. Pastor Avi will Minister to the men while his wife, Pastor Chaya will minister to women. The couple will also speak at two public rallies scheduled for Wednesday night and Thursday night at the T.A.T.TE. Building. All are welcome. During the meetings, Pastor Avi is expected to speak about the glory of the Lord, the revelations and expand on what recent events regarding Israel mean for Samoa. The P.F.I.S. 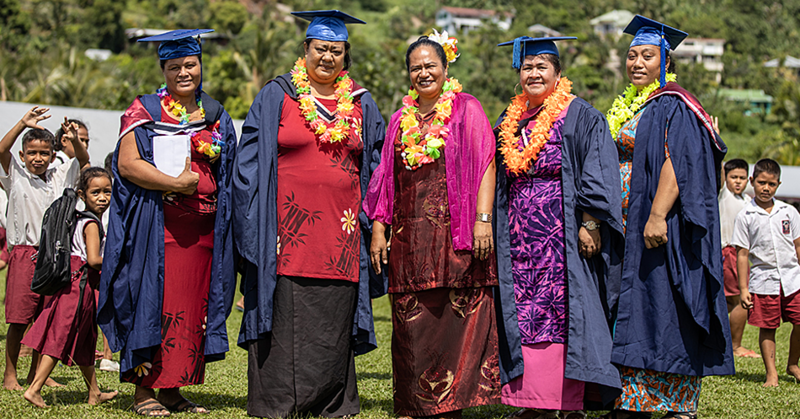 membership consists of members from different denominations throughout Samoa. They have all been to Israel at one time or another, with most of them having attended a conference organised by a group of Messianic Jews in October 2017. Samoa was part of a large Pacific delegation, which included a group from American Samoa. In 1984, after serving in the Israeli Air Force, he traveled to America where he met Yeshua as his Savior and Lord. During this time, he also met his wife Chaya. Together they attended Christ for the Nations Institute in Dallas, Texas. 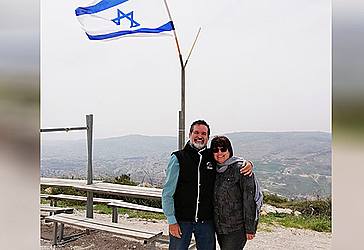 Avi and his wife Chaya returned to Israel to serve the Kingdom in 1987. Avi is a recognized leader in Israel and an international conference speaker. It is his heart’s desire to bring the Gospel to Israelis and to disciple them to become strong believers, rooted and grounded in the Word of God. Chaya helps Avi with the ministries of Adonai Roi Congregation and Dugit Messianic Outreach Center. She is also involved in the Pro-Life movement in Israel, where she has given Post Abortion Syndrome workshops; providing relief and support to women suffering from the trauma that follows having an abortion. Avi and Chaya have four daughters, three sons in law, and are proud grandparents! 3 of their daughters have proudly served in the Israeli Defense Forces, and their fourth daughter, Orel, is currently taking a two-year prep course for the Army.